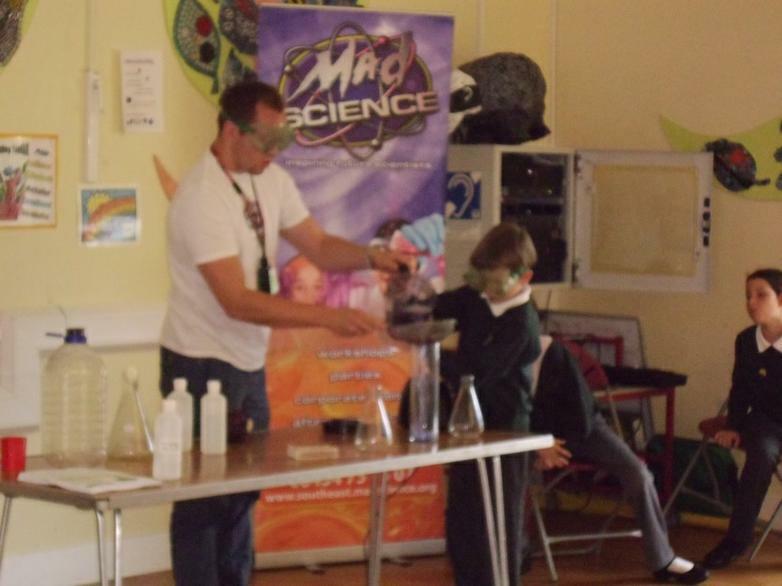 Last Week the Mad Science Team came to High Halden School,they wanted to show the children how much fun science can be! Everyone was in awe when Ant demonstrated how to get a hard boiled egg into the narrow neck of a bottle, then back out again without touching it. Two more experiments followed which captivated the children as they wanted to find out more. This included liquids changing colour and the formation of a cloud. Ant from the Mad Science Team is hoping to run a science after school club on Wednesdays. Your child has recently brought home a letter explaining the details and cost etc. Please contact the office for more details if you are interested. Who knows, your child could become the next Einstein!